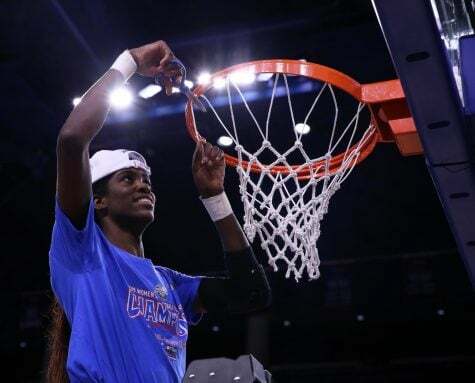 It was an impressive three days for DePaul (26-7; 15-3 Big East) marched to their third Big East Tournament title in five years winning by an average of 31 points, including a 35-point win over Marquette in the championship game. 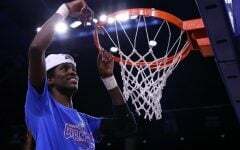 In the process, the Blue Demons set both a Big East Tournament record with 40 made three-pointers in three games and a championship game record with 98 points against Marquette. 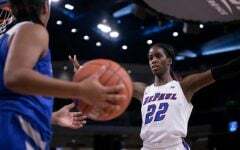 As dominant as DePaul was on offense, their defense throughout the tournament also stood out. 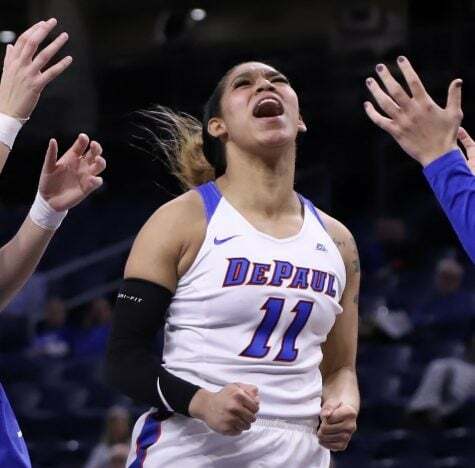 Coming into the tournament DePaul had given up an average of just over 70 points per game, but held Seton Hall, Georgetown and Marquette to 52, 53 and 63 points respectively. With the win in the conference tournament, the Blue Demons clinched the automatic qualifier bid and will head into the tournament playing as well as they have all season. They won six straight games and 12-of-13 overall while returning to the USA Today Coaches Poll at No. 24 entering into Monday. Their last loss was a one-point defeat to Georgetown on Feb. 16. 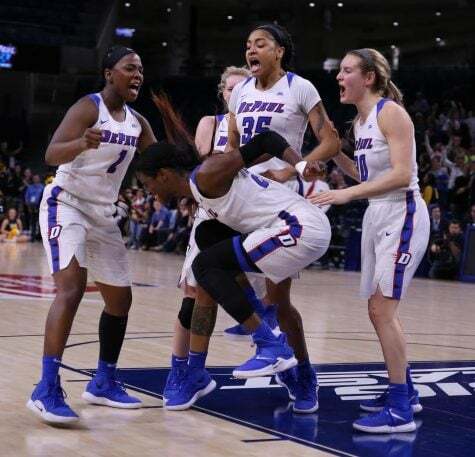 DePaul head coach Doug Bruno said after the win against Marquette Tuesday that his team has experienced a “turning point,” and they have the Hoyas to thank. 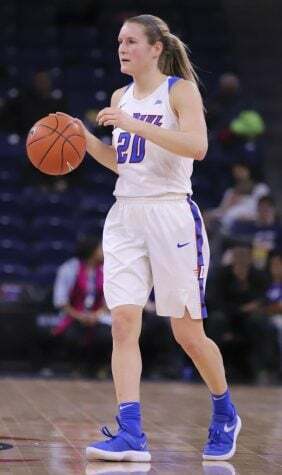 In that loss to the Hoyas, the Blue Demons gave up 86 points, and they haven’t given up more than 68 in the six games since. Bruno said even though his team has worked hard all year, DePaul is not traditionally thought of as a defensive team since they shoot so quickly and often, which allows other teams more opportunities to score. 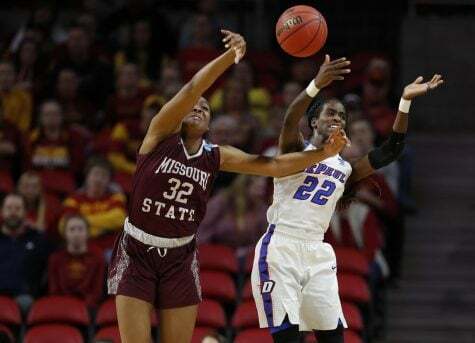 Still, after that loss to the Hoyas, they made some defensive adjustments and are now reaping the rewards. 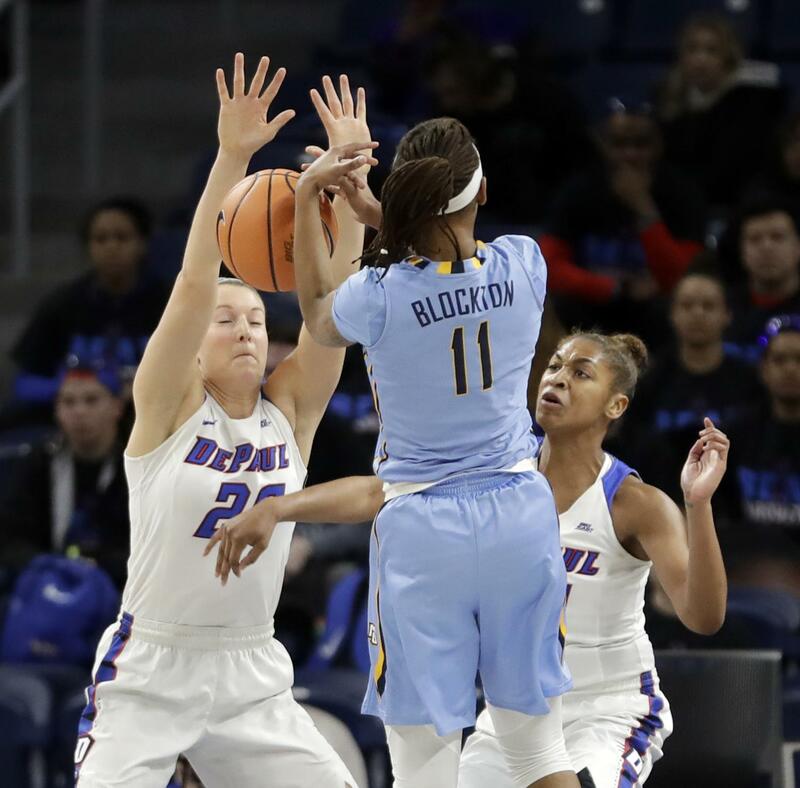 Early in the season, DePaul struggled to keep teams like North Colorado and Florida Gulf Coast off the charity stripe, but they have improved in that area and done a better job limiting teams’ opportunities at the rim. 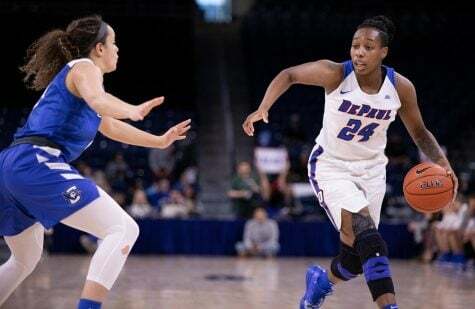 As an undersized team, defensive rebounding was another key focus for improvement, according to sophomore guard Kelly Campbell. 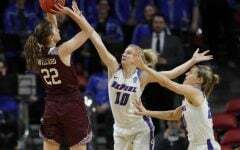 She said the team had focused on defense going into the matchup against Marquette and was proud of the way her team guarded the ball. 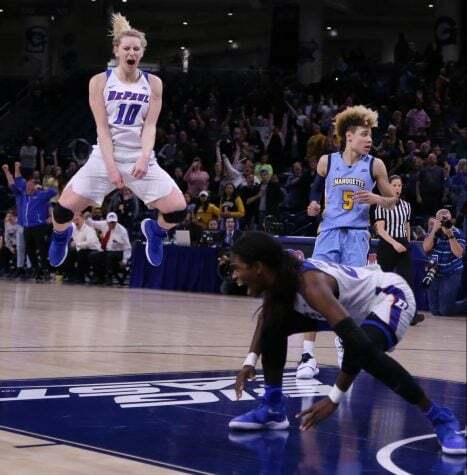 Marquette head coach Carolyn Kieger credited DePaul’s defense for not allowing her players to get to the rim or find second and third options. After DePaul’s win against Georgetown in the Big East Tournament semifinal, Bruno said he thought his team was dialed in and focused. 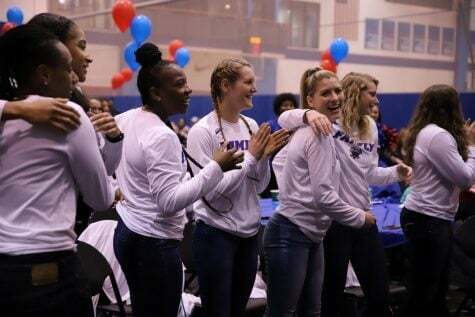 Now they have the opportunity to put their dancing shoes on and continue this momentum into the NCAA Tournament.